Last week, the Wi-Fi Alliance and the Wireless Broadband Alliance announced significant progress in their shared goal of making your phone connect seamlessly with Wi-Fi networks. Now at Mobile World Congress, Cisco Systems(s csco) is proffering up the first equipment that supports those Next Generation Hotspot(NGH) and Hotspot 2.0 standards. Cisco said on Tuesday that it has developed all of the necessary software to support the joint standard and will not only be embedding it in its future carrier-grade Wi-Fi equipment, but also offer it up to the mobile, wireline and hotspot operators that have already deployed its gear. According to Murali Nemani, Cisco senior director of marketing for service provider mobility, some of Cisco’s older gear won’t support the upgrade, but millions of hotspot access points can easily take the software. NGH and Hotspot 2.0 respectively tackle the carrier network and Wi-Fi part of the equation. The Wi-Fi Alliance is making it easier for a handset to login to any authorized access point without having to mess with passwords, splash screens – transferring all of the necessary credentials in the background. The NGH portion links the access point, as well as the devices connecting to it, back to the operator’s network, allowing them to treat Wi-Fi users like any other customer on their cellular networks. They can maintain their services and pass off data connections — and eventually voice calls – between cell and hotspot and vice versa. Cisco has been a big backer of the two alliances’ efforts and has is already engaged in trials with AT&T(s t), BT (s BT) and several other operators. Since they have all Cisco Wi-Fi networking gear in their networks we could start seeing seamless hand-off between Wi-Fi and cellular very soon. Or given the whole point of the standard is seamless connectivity, maybe we won’t see it all. Kevin, that’s a rather misleading title for this piece. “Out the door” seems to imply that I can go out this afternoon and upgrade my Cisco WLAN to support 802.11u/HS2/NGH. 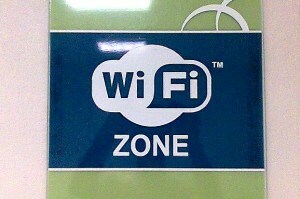 The Hotspot 2.0 specs aren’t even scheduled to be published by the WFA until mid-2012. Most people close to these initiatives are talking about handset support around the end of 2012 or early 2013. I do recognize Cisco’s leadership in HS2 and NGH, but the title gives a false impression of the timeline for deployment. Glad to see the caveat about voice handoff.